I made another Tinker Tote! This time though I reduced the size of the pattern by 25% for a smaller bag; not so much a carry-all tote but more like a handbag. Printing the pattern at 75% does not alter the construction process and although I was fairly familiar with the instructions I did refer back to the online class several times just to re-acquaint myself with some of the steps, in particular the zip pocket instructions. Flea Market Fancy and Katie Jump Rope by Denyse Schmidt (from stash). Original size Tinker Tote (at the back) and Tiny Tinker Tote. 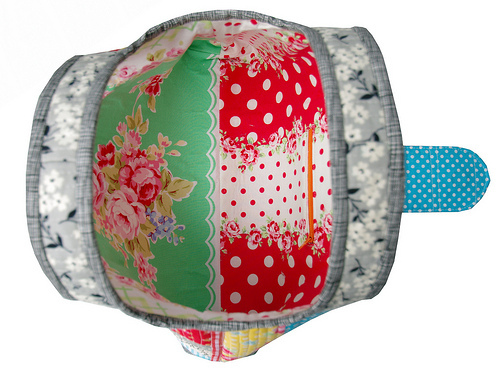 ~ Reduce the width but not the depth of the pockets. My pocket is only a few inches deep and a little bit more depth would have been handy for a useful pocket. ~ The binding on the original size bag is a little awkward. On the reduced size bag it is a lot more awkward. Lifting my sewing machine up and out of the sewing table insert would have helped (I didn't think of that at the time and it probably would have saved me from muttering a few choice words). That's the prettiest inside of a bag I've ever seen! So, so cute! Going on my to do lst! It looks fabulous!! I am yet to make mine (purchased the class & viewed all the lessons on the same day about a month or so ago :) ), but I'm looking to make one during my break from uni which will begin at the end of this month :) ... LUV the smaller size - thanks for the notes!! Your totes look wonderful! 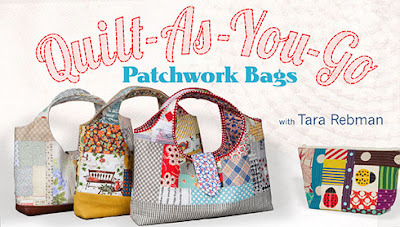 I have Tara's class in my Craftsy account and am looking forward to taking it. OH the mini is darling! I like the 'striped' look of your qayg sections. Thanks for inspiring with your first bag - I took the class this week & thoroughly enjoyed making my own Tinker Tote. After one more look, i think i like the smaller bag even more. Rita, looks brilliant. I have purchased this class and am itching to get started. I've got that class on my wish list! 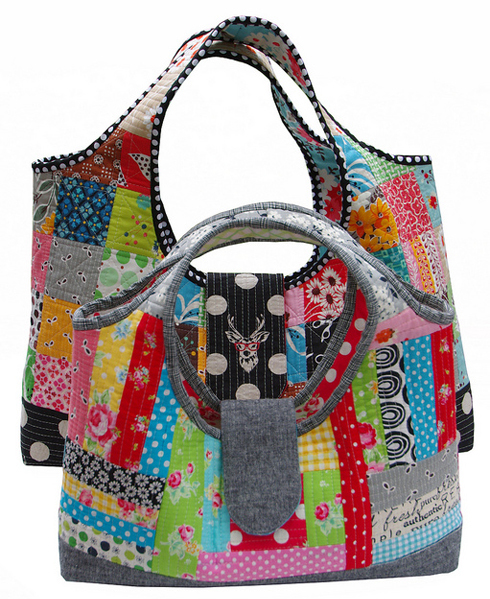 Love your tote ~ the inside is as beautiful as the outside! Adorable! 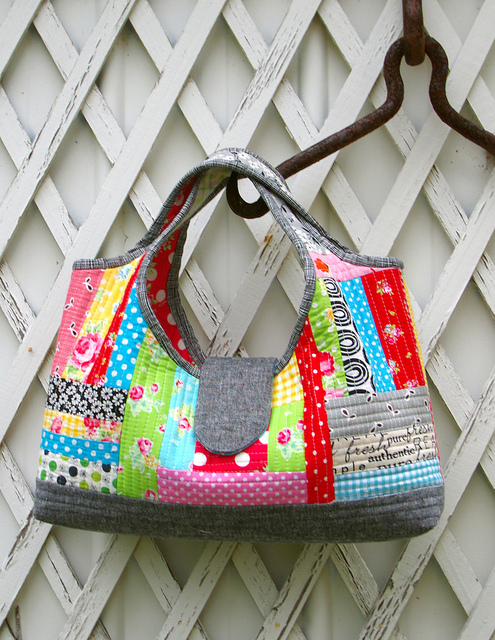 I love Craftsy and I wish I had the time to take this class. Your bags came out fantastic! Have a super day! so in love with all the tinker totes I'v been seeing! The mini version is perfect! I have started my Tinker Tote but am out of my comfort zone picking random colors. Want to make a smaller bag but my printer does not reduce. Tara said to just take 2" off side and bottom and 1" off straps. Would this make it about the size of yours? Your bags are so pretty and colors are always so well put together. I'm making another one too. I love my bag but I do find it a bit too huge and it's quite gapey. I'm always afraid out in the world someone is just going to reach in and help themselves to my stuff. 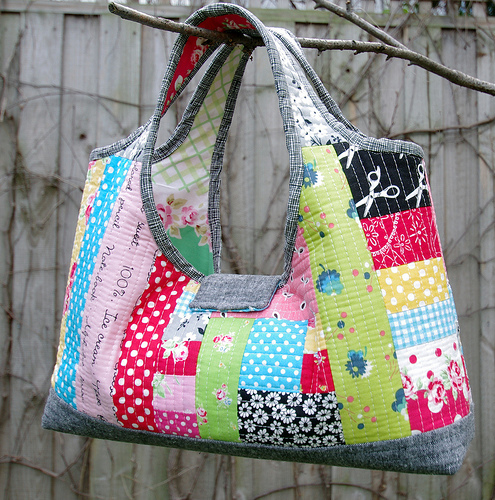 Both your bags are great, I love how this project makes any random batch of fabrics look so cool! Working on my Tinker Tote now! Wish I had shrunk my pattern and made it for a purse! Guess I will make another one! Happy sewing Nancy! The smaller one is fun to make.